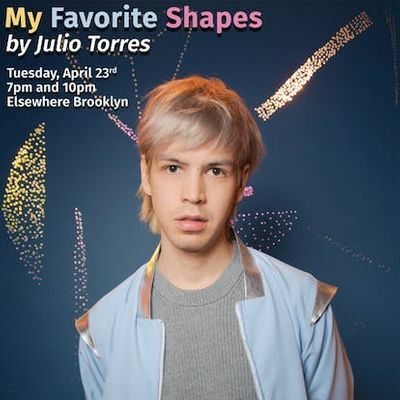 In this multimedia comedy show, Julio Torres guides a camera through his favorite shapes, which include a plexi-glass square, a triangle, a sphere, a self-conscious Faberge egg and a Ferrero Rocher chocolate that reminds him of Melania Trump. 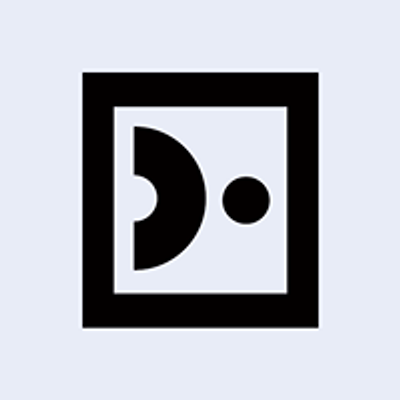 The audience sees a projection of Julio's hands holding various precious little objects that serve as a jumping point for fantastical stories, anecdotes and jokes.Julio is a Brooklyn-based comedian who moved to NYC from El Salvador. Julio is an Emmy-nominated and WGA-winning writer for SATURDAY NIGHT LIVE in his fourth season, and his work on SNL has received much acclaim from THE NEW YORK TIMES, VULTURE, VANITY FAIR, and more. Julio has guest starred on HBO’s HIGH MAINTENANCE, performed stand up on LATE NIGHT WITH SETH MEYERS, and has also both performed stand up and frequently appears as a correspondent on THE TONIGHT SHOW STARRING JIMMY FALLON. His first stand-up special premiered as a half hour on COMEDY CENTRAL STAND UP PRESENTS. Last August, Julio headlined his first solo hour at the Edinburgh Fringe Festival, “My Favourite Shapes: By Julio Torres” to rave reviews. Most recently he performed “My Favorite Shapes” at Just For Laughs in Montreal as well as at the Soho Theatre in London. 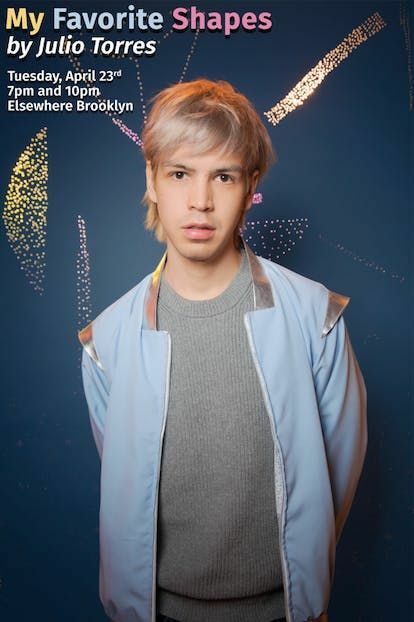 This summer, Julio will star in the new HBO series LOS ESPOOKYS, which he co-created with Fred Armisen and Ana Fabrega.